It’s transfer deadline day, but instead of boring you with some rumoured incomings that won’t happen, we thought we’d share four minutes of our most talented Academy player tearing it up during pre-season. 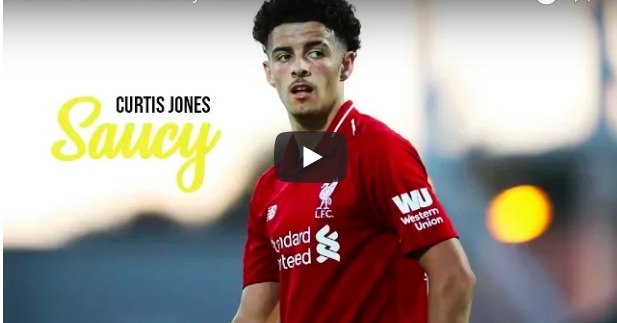 Below, you’ll see a compilation of Curtis Jones’s best bits this summer, in which the 17-year-old featured in every friendly, shining in most. We don’t want to put too much pressure on the teenager, but it’s difficult when he’s this good at football. Jones has a swagger; an arrogance, that belies his age. We really hope Jurgen Klopp puts him on the bench at the beginning of this campaign. He’s on a real high at the minute and it would stunt his progression to stick him in the U23s for another year.